With growth comes the potential for exciting changes, and that’s exactly the position St Matthew’s Church in Panton Hill, Victoria recently found themselves in. It was already a big task to build a brand new chapel and totally rebuild existing rooms and amenities, let alone making considerations for the audio visual elements of the project. Luckily, St Matthew’s had a team of expert audio visual consultants close at hand with InSight Systems. 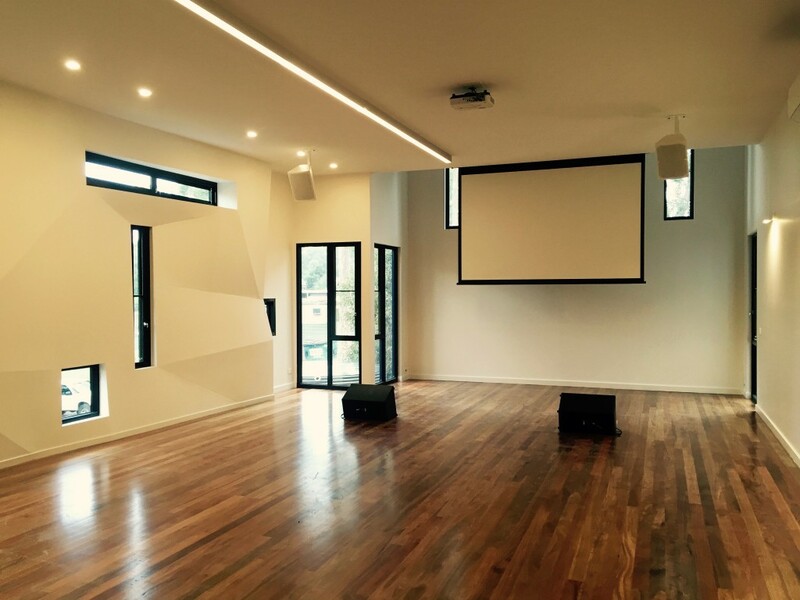 With the new infrastructure almost complete it was going to be a tight schedule, but that was nothing a dedicated and innovative audio visual installation team couldn’t handle. With so many factors to consider, this was never going to be your average AV integration and installation. The chosen products needed to be economical and budget-friendly, plus easily accessible for the volunteers who run the weekly church services. They needed to facilitate a service that typically includes singing and the delivery of a message from a minister, while inviting a welcoming and inclusive atmosphere that the congregation could connect to. And all of this in a limited timeframe. It was essential to take the time to understand the clients’ specific needs, as well as utilising years of experience creating stellar audio visual solutions. No detail was too insignificant to consider, right down to mounting the TurboSound TCX8 8” speakers to face downwards to ensure the hardwood floors and other hard surfaces of the building’s interior wouldn’t reflect the sound in a harsh way. Premium EV Evid C8.2 two way coaxial ceiling speakers were installed both in the back of the chapel – providing the option for the front speakers to be run at a lower level to conserve energy – and in the overflow space for cases when the auditorium gets too full. The real heart of St Matthew’s new and improved AV system is their QSC Touchmix-16. Not only is it a high quality system that fits the financial requirements of the project, it also suits the one requirement from the client – to be able to control the system from an iPad. 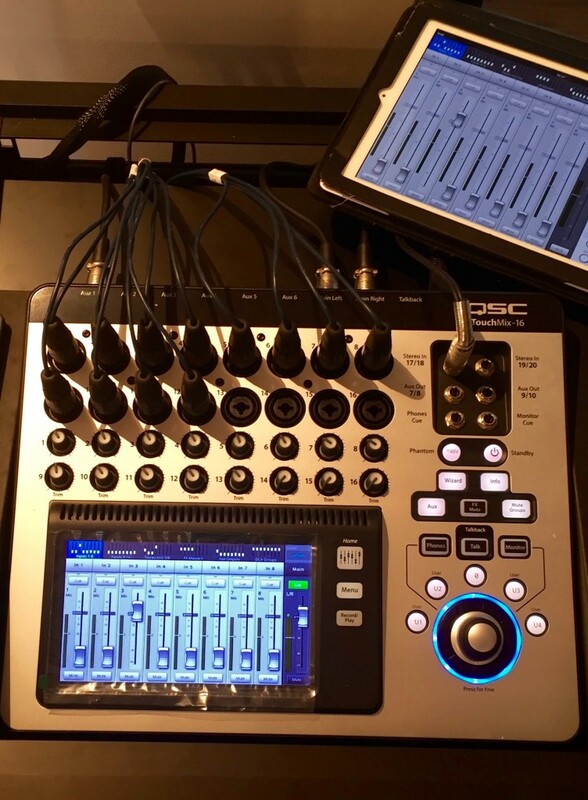 The functionality of the QSC Touchmix-16 makes this a possibility, even without a network or wireless access point. Working with limited finances had its challenges but was still achievable with a bit of creativity; like integrating St Matthew’s existing front of house speakers and amplifier into the new system, and using an Epson projector provided by the client to work with their newly installed Grandview 120” projection screen. The congregation at St Matthew’s can now enjoy their new building and amenities with a state of the art audio visual system at their fingertips (or should we say ear buds). It’s not just thanks to the smart choice of products used, but also the way the overall system has been carefully planned out. St Matthew’s weekly Sunday services are now taken to the next level, and their members can enjoy their experience and fellowship without the potential for getting distracted by less than quality sound or unpleasant visual elements. If you need an AV solution with the same level of in-depth expertise and professionalism, get in contact with InSight Systems today. You can find out more about our audio visual solutions here.